Diddy Mike is one of the uk's Premier Children's Entertainers. 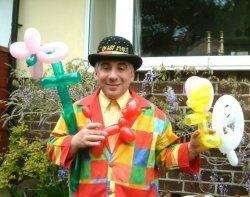 Based in Manchester with over 25 years experience entertaining children of all ages with comedy magic, balloon modelling and disco. Available for Corporate entertainment, Birthday parties etc.